 With over 400 successfully completed projects, you’ll find an experienced partner you can trust for your project along Florida’s beautiful Forgotten Coast. We specialize in custom homebuilding, but also build commercial and site development projects. Big Fish Construction is a fully licensed and insured State of Florida Certified General Contractor – CGC1525946. My wife and I have been home owners on the Cape for over 12 years. We have been planning a new beach home for some time, and spoke with most residential contractors in the Gulf County area. Since we live 6 hours away from our new property, it was of paramount importance we could find someone we could trust, and have effective communication. After meeting with Steve and Big Fish Construction, we were convinced they were the builder for us. Throughout the process, from plans to certificate of occupancy, they took a vested interest in our investment. Clay Williams; project manager was great to work with, and promptly informed us of code changes, building permit... read more. We’ve built a lot of homes and have a wide range of plans on hand. Let us know what you’re looking for and we may already have a plan that fits your needs. Need a realtor? A bank loan? Or even a place to stay while your in town? From legal services to vacation rentals, check out our area recommendations.